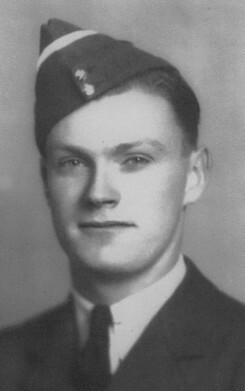 HomeVETERANSEmbro & West ZorraBlair, Willis L.
Willis L. Blair of Lot 9, Concession 2, joined the Royal Canadian Air Force in London, Ont., on Nov. 3, 1942. When a hearing defect at high altitudes ended his training for assignment to a flight crew, he was sent to Toronto and St. Thomas, where he became an instrument mechanic. At Boun­dary Bay, B.C. he worked on Lancaster bombers. He was then posted to Vulcan, Alta., and later to Calgary. In May 1945 he was reassigned to Moncton. N.B., where he worked in the aeronautical inspection department. In March 1946, he was discharged at Rockcliffe (Ottawa).